Saunders to replace Canelo for Golovkin? Gennady Golovkin, the hardest pound-for-pound puncher in the world, will offer Billy Joe Saunders a blockbuster world-middleweight title unification fight if his rematch with Canelo Alvarez is called off. The Kazakh KO king has confirmed Saunders as his preferred fall-back opponent if Alvarez is banned following two positive drug tests, thus forcing the cancellation of his return clash with Golovkin in Las Vegas on May 5. The Nevada State Athletic Commission are investigating after traces of the steroid clenbuterol were found in samples given by Alvarez early this month. The man known as Triple G already holds the WBA, WBC, IBF and IBO middleweight titles. 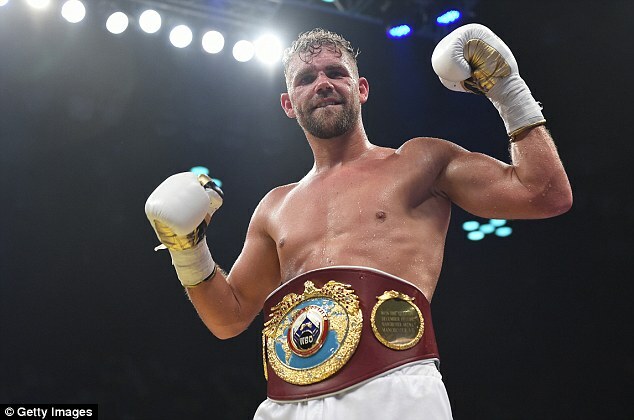 The WBO belt currently worn by Saunders would complete his set as undisputed world champion. That prospect would provide additional motivation for Saunders to retain his title in a defence against Martin Murray at London’s O2 Arena on April 14. He will be sweating as heavily as Canelo and Triple G on the deliberations in Vegas. Golovkin, although outraged by the Alvarez drugs issue, remains keen for the rematch to go ahead. He said: ‘I still hope the fight happens. It is the biggest fight in boxing right now and I would like to be on that level once again. Canelo claims he is the latest sportsman to fall foul of eating contaminated meat in his native Mexico, an excuse which has been accepted on occasion by the drugs authorities because of a prevalence for the use of clenbuterol in cattle rearing in that country. One expert witness has testified that the trace elements of the substance are consistent with such a finding. But Golovkin told Ring TV: ‘It should be a simple decision. Either you are doping or not doping. The Golovkin camp argue that Canelo’s trainers Chepo and Eddy Reynoso, as meat market proprietors in Mexico, should have been alert to the risks of beef contamination there and monitored what their man was consuming. 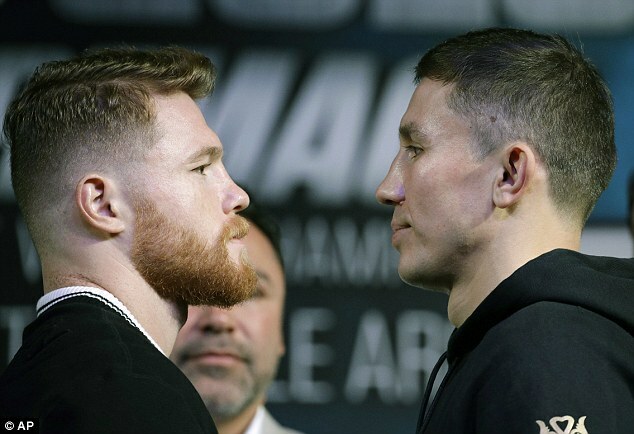 The positive Alvarez results came as VADA – the voluntary anti-doping agency – began testing as agreed by both boxers at the start of their final eight-week training camps. The absence of out-of-camp training complicates the matter. The Nevada Commission have to decide whether he was infected by chance or slightly miss-timed his withdrawal from the drug, having already bulked up to the most muscular yet in his career. Oscar De La Hoya, his Golden Boy promoter, expects him to be cleared. Certainly the fight, on the Cinco de Mayo holiday weekend when tens of thousands of Mexicans travel to Vegas, would bring a financial bonanza which no-one in Sin City will want to forfeit. So the pressure is on the commission. Canelo has succeeded the retired Floyd Mayweather as the big-fight ticket in Vegas. 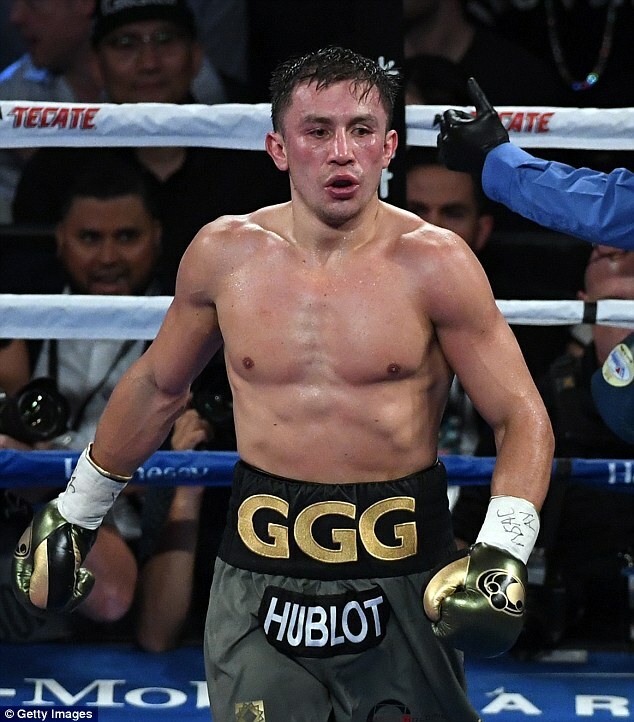 Most boxing pundits and fans suspect that those hundreds of millions of dollars weighed on Golovkin being robbed by the judges at the end of the first fight. Triple G appeared to have won handily but the judges – with one of them scoring it an outrageous 118-110 for Alvarez – called it a draw. Even the Mexican majority in the T-Mobile Arena booed the result. Alvarez, anxious to prevent his legacy being tainted further, has moved camp from Mexico to San Diego in southern California to avoid ‘a recurrence of meat contamination.’ Saunders still calls him ‘a cheat.’ If he is proven right, Billy Joe could expect home advantage against Golovkin this summer. Having boxed only once in Kazakhstan since his amateur days, Triple G is the ultimate road warrior. Now 35, all his unbeaten world title fights have taken place abroad and he was perfectly willing to come to London 18 months ago, when he inflicted a broken eye socket and fifth-round stoppage on Kell Brook at the O2. Billy Joe, be careful what you wish for.